Committee member, Bill Walton, urges you to go and see Mavis! this Sunday. I haven’t seen the film Mavis! 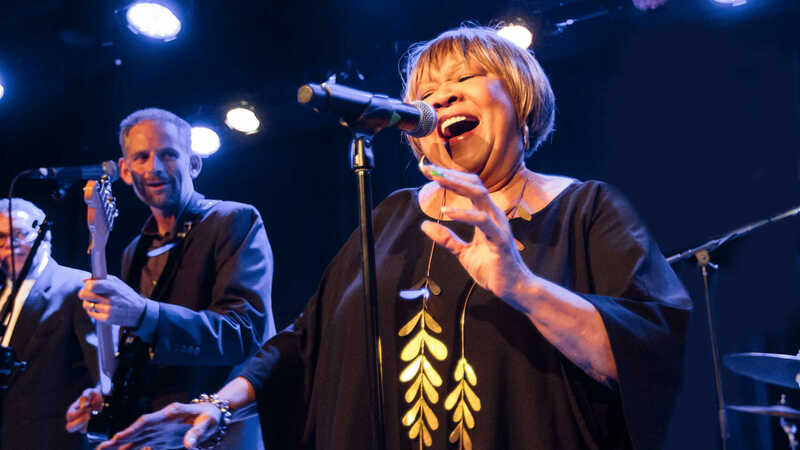 yet, but I have seen the trailer and, even better, I saw Mavis Staples performing live at Glastonbury last year. Loads of charisma, great songs, a sensational voice, an excellent backing band, and a powerful advocate of Black Lives Matter. If you like gospel and soul music, and want to learn more about the part the Staples Singers played in the Civil Rights movement, make sure that you catch Mavis! We don’t normally share trailers on this blog but this one is a great taster of what to expect from the film featuring Prince, Bob Dylan and Chuck D.
I enjoyed Mavis Staples, a great singer and performer. However, I found the actual film fairly conventional: a typical TV documentary with quite a few ‘talking heads’. Last year we had Ornette: Made in America (1984, Shirley Clarke). I thought that film replicated the distinctive approach of Coleman in its construction. I rather thought that this HBO film could have found an approach for Mavis’ gospel sound and committed activism.